Be powerful. Give back. Volunteer. 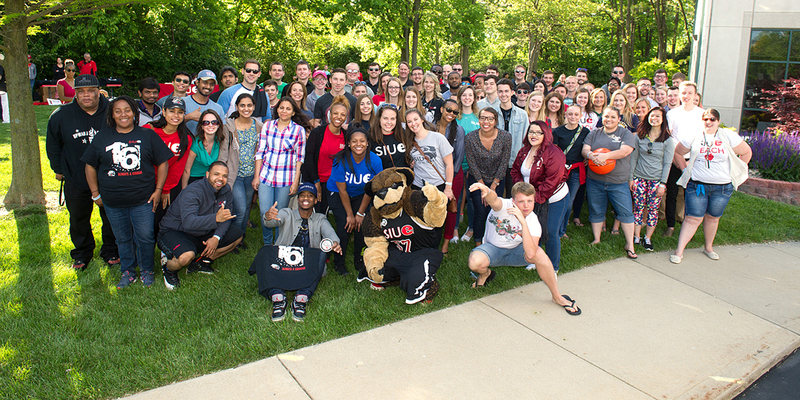 SIUE values contributions of time and talent as much as it does treasure. There are several opportunities to volunteer with various areas of the University including friends’ groups, unit advisory boards and special alumni programs within the College and Schools. All alumni are welcome to serve as non-voting members of the Advocacy, Mentoring and Engagement committees. If you are interested in applying to serve on a committee, please contact the Alumni office at siuealumni@siue.edu or 618-650-2760. The Friends of Art is a group of everyday people who appreciate the arts and want to see them flourish. Throughout their history, the Friends of Lovejoy Library have contributed significantly to the quality of library programs by purchasing books, materials, and equipment to enhance the collections. Lovejoy Library, SIUE, and the larger community it serves have benefited greatly from the dedication and generosity of these volunteers. The Friends of Music work together to ensure that the SIUE Department of Music’s offerings remain accessible for students whose means may be limited, but whose talents and ambitions are limitless. Friends of Theater and Dance (FOTAD) is a volunteer organization dedicated to raising funds to provide scholarships for students majoring in theater and dance at SIUE. FOTAD also provides travel funds and other support to theater and dance students. The School of Dental Medicine Alumni Council is organized to assist the School in the support and advancement of its mission for the mutual benefit of the University and its alumni. Members of the School of Business advisory boards provide strategic support and guidance to the School. Board members represent a variety of industries. The School of Engineering is working hard to build a true "engineering community." As alumni and industry friends, you can get involved in this effort by giving to School of Engineering programs and scholarships, participating in our Industrial Advisory Boards and Councils, mentoring and helping with senior design projects all of which are important contributions to the School.